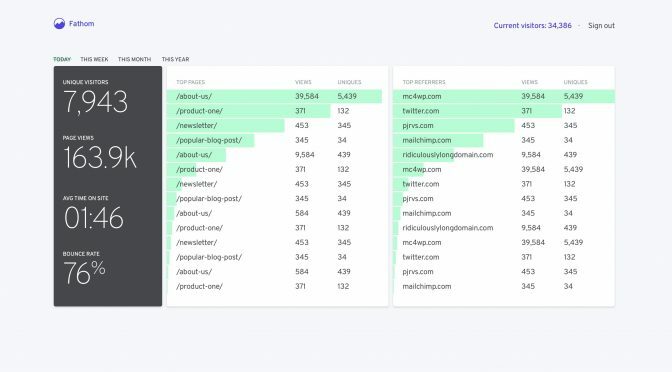 Fathom Analytics could be said the best and simple web analytics tool which is privacy focused as well as a highly reliable Google Analytics substitute. As collecting information is important for giants like google the web developers are compelled to rely on such services for free access to web tools and services. On the other hand, that collected data is used for various purposes. There comes a highly reliable data analytics like fathom which is absolutely free and open source. Fathom collects data if necessary and does not use it for any other purpose. Fathom values privacy of users and never collects personal information. It gives information about your website that you need to make better decisions. It is highly recommended to use a free service like fathom and stop giving private data to access tools. If you are looking for an opensource data analytics scripts like google analytics, fathom is your bet. Download Google Analytics script. Do not download nulled Google Analytics script from torrents or illegal sites. It's illegal. Always buy scripts from original developers.